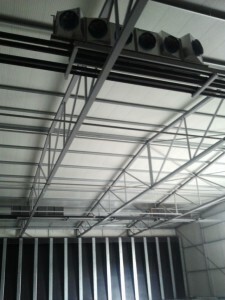 For drying rooms of a large starch dryer, a number of cooling and heating batteries have been built. 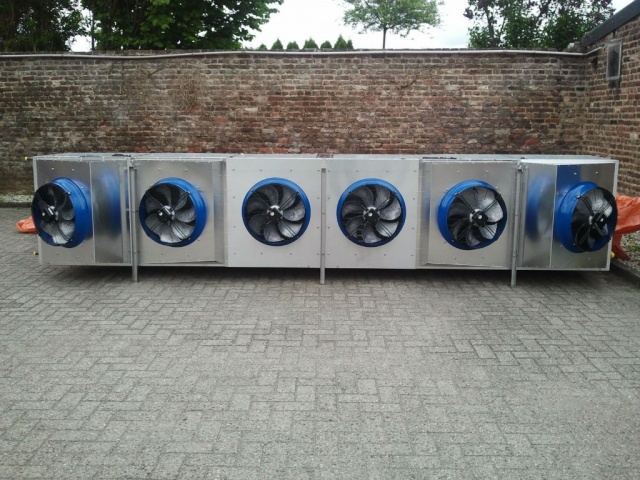 The special of these units is that the total cooling and heating capacity required for the drying process is combined in a unit with a high precision monitoring of temperature and moisture content. When you ask for a special, you can also get a special. 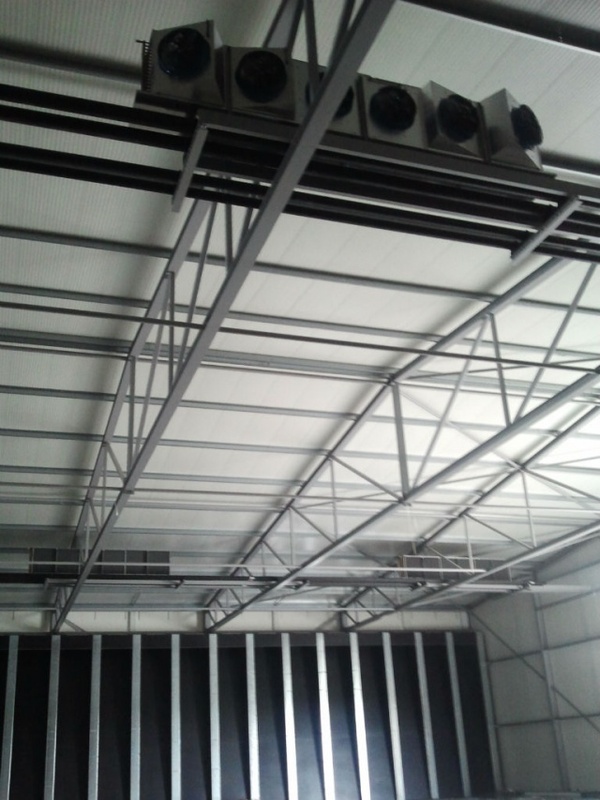 For a particular application in a LBK air handling cabinet, the customer’s desire was a gradual build up of capacity so that eventually with multiple individual compressors the air temperature and moisture content can be controlled. 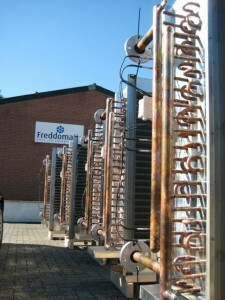 With DX cooling blocks with multi-woven spider heads, per unit, the power is adjustable in steps of 1/6 to 1/1 of the total available cooling power. 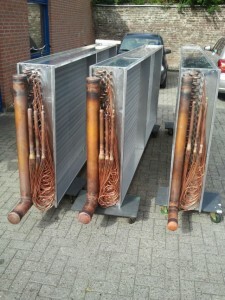 Each battery has a size of 1250 x 3100 [mm] with a power of 260 [kW] on the 1st stage and 130 [kW] on the 2nd stage. 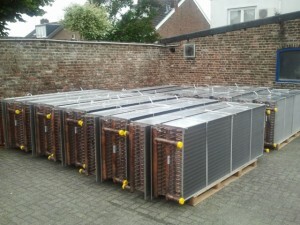 The total installed power is 780 [kW] per air group.